It’s Museum Week — an international social media celebration of museums and culture. Since museums are my bread and butter, I thought I would talk a bit about what I do and then catch you up on the projects I’ve been working on. For those who don’t know me, I work as a freelance interpretive writer, researcher, and occasional interpretive planner and project coordinator for various museum design firms. The writing portion of my job involves taking raw material supplied by the client (or in some cases, my own research) and turning it into short, snappy, accessible exhibit copy — information panels, captions, digital media, artifact descriptions and instructions. Exhibit copy is a funny thing. It takes more effort than you might imagine to write those pithy little sentences you see around a museum and yet, hardly anyone reads them. It’s a bit like the news — everyone glances at the headlines, some read the lead, and very few follow through and read the details. The difference is, in most interpretive writing, all you have room for is the headline and a lead — at most, 100 words on a given topic, usually fewer. So you need to pack a whole lot of information into very few sentences. Sometimes this is simply an exercise in cutting — taking a decent raw sentence and ruthlessly putting every word (or idea) on trial for its life. But more often it’s a matter of throwing out the baby and bathwater and reexamining the message. What is this 150-word paragraph really saying? How can I tell that same story in half the words and still keep it interesting? And that kind of work is best done away from the desk. Remember in school when a teacher would assign you to write 100 words about, say, Chief Joseph. And you’d go to the encyclopedia or Wikipedia, and there it was — the perfect 100 words. 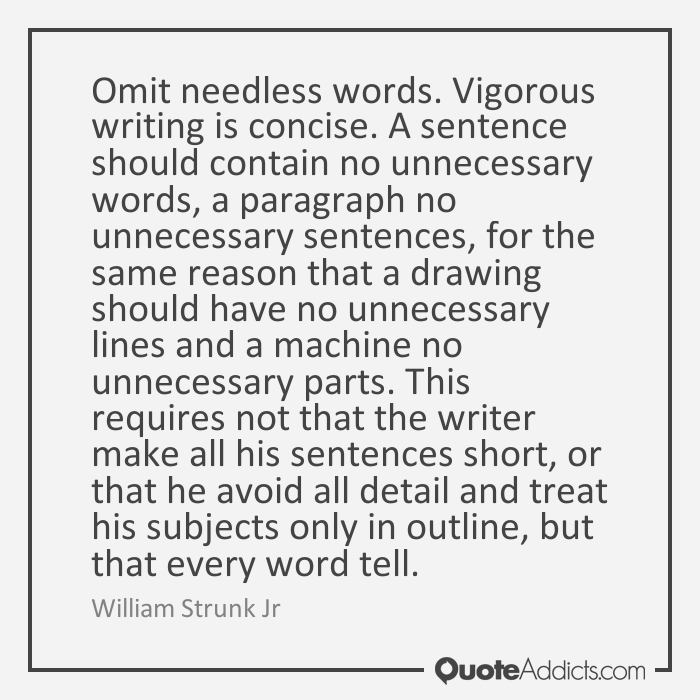 And no matter how you wracked your brain, you couldn’t think of a better way to write that, so you’d simply rearrange the sentences, substitute a few synonyms and hope it sounded original — which, of course, it didn’t. That’s the danger of having sentences already in front of you. What you really needed to do was read several articles about Chief Joseph, understand his story, go away and think about it, then write about it in your own words. And that’s what I do when I get to a sticky spot in my interpretive writing. I read the drafts and background material, work to understand the story we’re telling across the exhibit, and then examine the information we’re trying to convey in this particular spot. Sometimes a day’s worth of interpretive writing results in this. 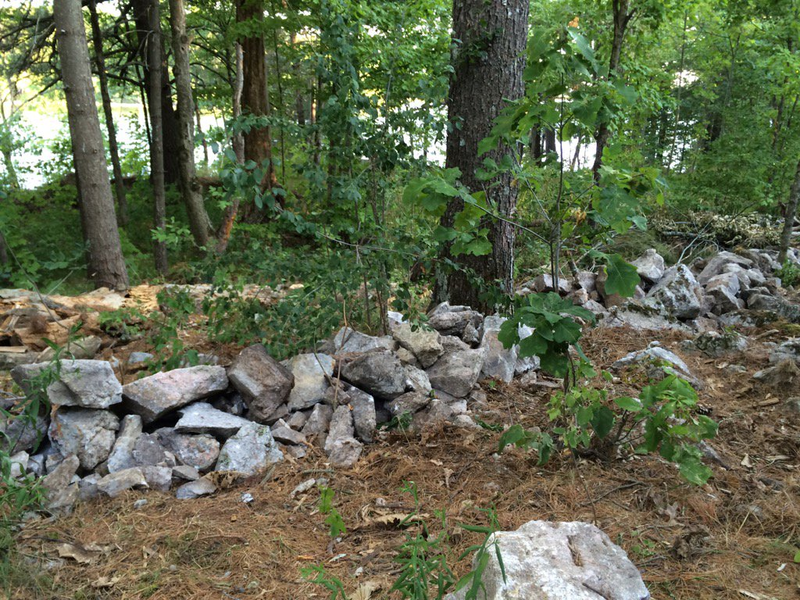 Then I go away and my workday starts to look less like writing and more like chopping vegetables, building a rock wall, or walking to the lake. But by the time I circle back to the computer for the third or fourth time, I’ve solved the sticky problem, which, often as not, turns out to be something deeper — maybe a problem that began two panels earlier or something in the way we’ve been communicating this section. Then I write, talk with the client about our approach, clarify, and rewrite until eventually we end up with a good story, well-told, in very few words. Illusuak, the way it looks in Nain, so far. I’ve written about Illusuak here before and had a piece on it published in Labrador Life last year. 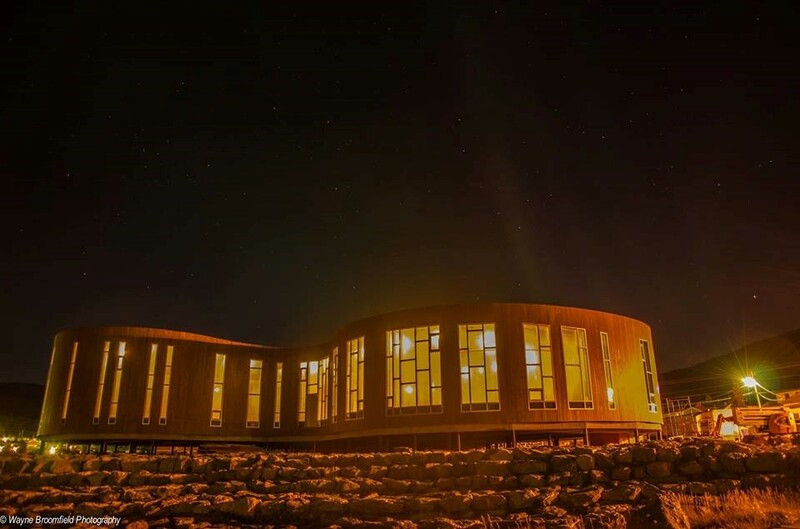 Illusuak is an Inuit cultural centre that will feature Labrador Inuit history, tradition, skills, arts, myth, and other cultural themes. We’re currently working with the Nunatsiavut Ministry of Culture, Recreation and Tourism to gather background information and work out exactly which stories we’re telling in each exhibit and how best to tell them. In keeping with our mandate to deliver as much as we can in the voice of Labrador Inuit, we’re drawing on first-hand historical accounts, oral histories, and interviews. As well, in order to represent contemporary Inuit culture, we are soliciting original writing, photos, and multimedia content from youth and young adults across all of the Labrador Inuit communities. My job as interpretive planner and writer, is to take all of this information and work with the design team to figure out what the stories and themes are, where the information is going to go, how we’re going to deliver it — whether it be panel text, captions, multimedia, digital, or through artifacts or images — and then to write the pieces that need writing. 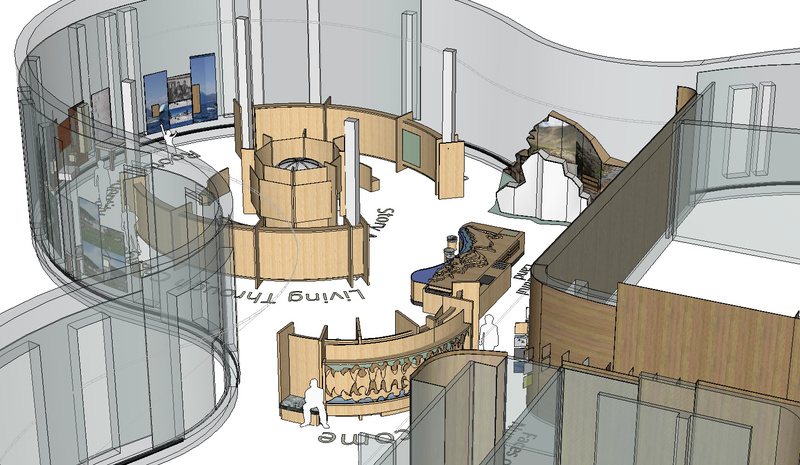 Design rendition of the “Transforming Resources” gallery. (Bouw Design). Over the last three years, CSTM has been undergoing an entire renovation and renewal. The “New” CSTM is set to open in November as part of the Canada 150 celebrations. I was brought in by Bouw Design to write for the new Transforming Resources gallery. This gallery focuses on Canada’s earth resources and mining with topics that include steel, nuclear power, oil, gold, fertilizer, energy production and water. Writing for this project was straightforward but very constrained in word count, so involved much pacing about and judicious use of a thesaurus as I tried to figure out how to explain such things as nuclear fusion in 25 words. It was also a bit of a trick to proudly tout Canada as a world leader in the mining industry (which it is) and talk about things like oil sands and fertilizer, knowing what we do about climate change, run-off pollutants and the damage mining can inflict on the land. However, the teams at Bouw and CSTM were careful to weave in a consistent reminder that these resources are extracted to produce things we need or want — from food to electricity to iPhones. If we want to continue enjoying the lifestyle we have today, we will have to extract earth’s resources, at least until we find substitutes. The teams also included an exhibit on climate change and wove other ecological and conservation messages throughout the gallery. 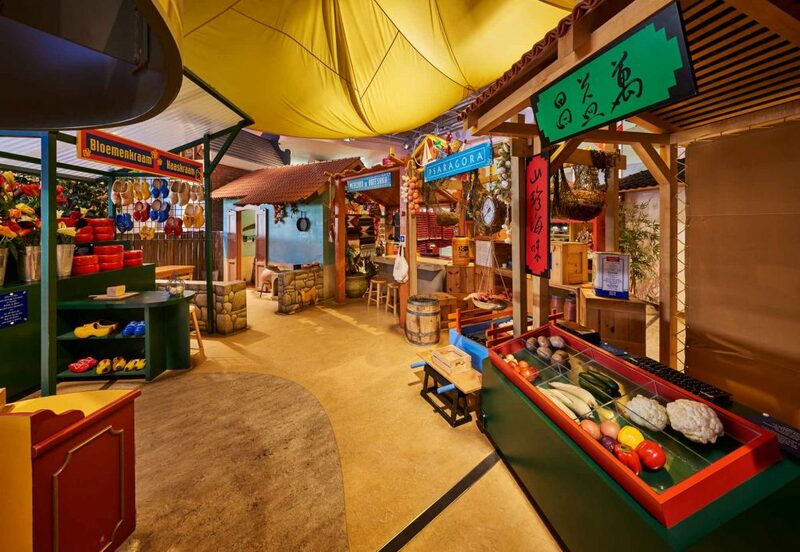 Children will learn about money, budgeting, shopping and other cultures using museum “bank cards” to make pretend purchases in a “World Bazaar” similar to this. 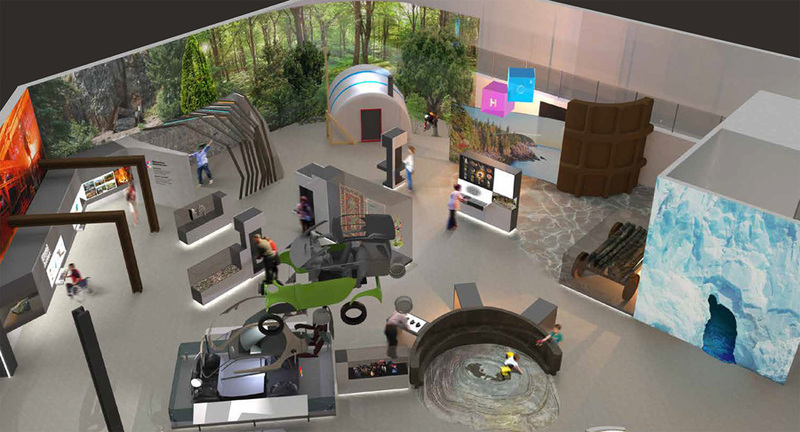 This children’s science discovery centre is a huge project that’s still in its early stages. You might remember that I wrote for Vanke Octopus Park a couple of years ago. Well that was just a small taste of what is planned for BVCM. This large multi-level museum weaves Chinese culture and values into topics such as science, energy, human body, nature, sports, and technology. Activities will target children while exhibit text will be focused on helping parents and caregivers understand the value of different types of play to child development. My work here, so far, has been to help write and edit the museum Master Plan — the document that lays out the design team’s proposed plan for all of the themes, exhibits, and desired outcomes for the entire museum. The project itself will be a collaborative effort between the Blue Rhino Design team (myself included) and the education and child development experts and designers at Playful Content. This weekend wraps up Museum Week, so if you get a chance, celebrate our museums, science centres, heritage sites, cultural centres and art galleries by visiting one near you. And while you’re there, take a moment to think about the many people who worked to make the exhibits informative and engaging.